A great money and time saving investment for home-owners with yards of all size. Artificial turf is easy to install and maintain, Turf Avenue's artificial grass will help you maximize your investment in your home and give you more time for yourself and family. Following these instructions can help create the well manicure landscape and save money for years to come. 4. Landscape spikes 4" to 6"
Most, if not all of these tools can be purchased or rented at your local hardware or home improvement store. Compactable Base - It take about 1 to 1.2 cubic yard of base material per 100 sq ft 3" deep. You can help the rigidity of the base by adding geotech fabric or commercial grade weed barrier fabric under your base. Lay turf with enough overhang to allow it to be properly trimmed. Fold the adjacent trimmed edges of two rolls of turf approximately two feet apart the entire length of the seam. Trim off extra fabric. Roll out seam tape centered over the entire length of the seam line. (12” to 18” wide) Apply turf adhesive. 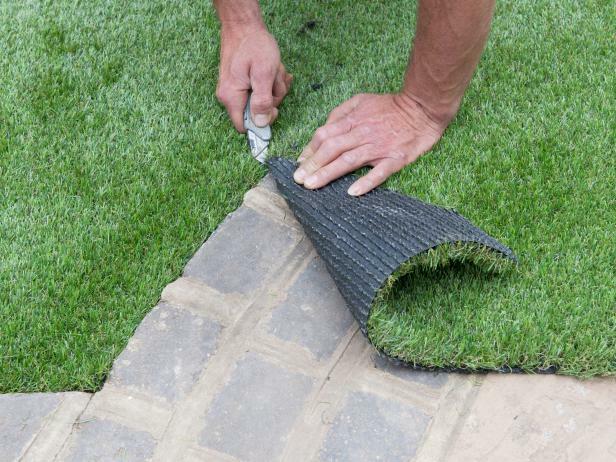 After adhesive has flashed, lay the edges of each roll of turf directly onto the adhesive/tape, making sure not to bury any grass fibers into the adhesive. Be sure to add weight (i.e. sandbags) down the length of the freshly laid seam, or use a heavy roller along the seam length. The adhesive drying / curing time will vary with different adhesives dependent upon climatic conditions. It is important to use a high quality, outdoor adhesive to prevent delaminating later. Follow the adhesive manufacturer's instructions. Fold both pieces inword making sure that they seam is tight - Nail both sides with 6" to 7" narrow nails (gutter nails). Nail about 8" to 12" apart all the way down the entire length. Trim by folding back, and cutting along the edge. Nail about 12" to 18" apart all the way around the entire perimeter. 6" to 7" narrow nails (gutter nails). Sanding - Infill 1 to 2 lb per sq ft as speced. Four different methods to address securing the edge. Fig 1 - Pull turf as close as possible prier to seaming. Fig 2 - Fold back to apply glue to seaming material (12" to 18" strip of weed fabric). Continue to change out your blade often and use the edging to cut against. 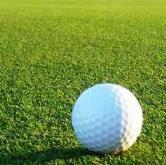 Turf Adhesive is an eco-friendly, single part, moisture curing, polyurethane adhesive. It is designed specifically for bonding various substrates to the backing of synthetic turf. Substrates include: Road Base, Decomposed Granite, Concrete, Asphalt, Wood and Foam Padding. 1. Application area should be clean and free of oil and debris. 2. Apply Adhesive to seam tape or surface via trowel, spray rig, glue box, or by pouring over the surface area. 3. Allow 5-7 minutes wait time for adhesive to absorb surface and atmospheric moisture. 7. After 25-35 minutes of cure time, press or roll seams again, ensuring contact between both surfaces. 8. Begin brooming and infilling after 2-3 hours. The Turf Adhesive will be fully cured after 24 hours.